There is a lot of focus about good mental health for employees at the moment, so I’d like to focus some attention on the mental health of business owners. 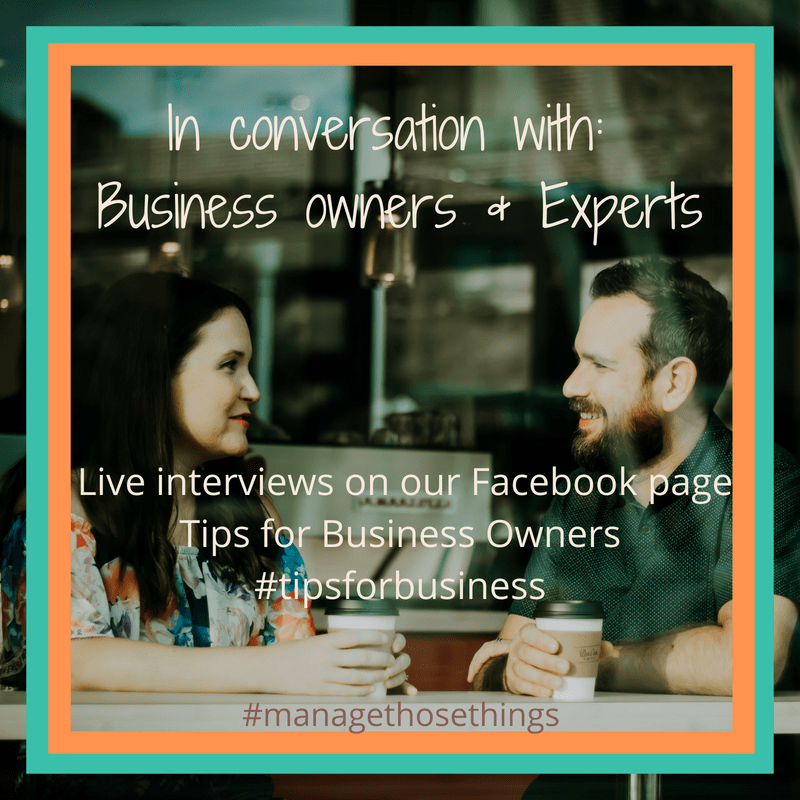 As a business owner, you’re juggling many things, especially if you’re running your business by yourself and have to do everything in your business. Staying fit and healthy is crucial to the success of your business – without you being well and able to carry out your weekly tasks, you will have no business. Doing exercise, drinking water and getting fresh air are the basics aren’t they, which we all know about. But what about your mental health? Whilst your walking are you trying to fix the problem “that customer” has? Or are you worrying about not having enough money to pay your supplier at the end of the month? Can you see? Just because your taking exercise, doesn’t always mean your mental health is being improved, and can often mean you’re not in the mood for your business. Many people set up their own business to share a passion they’ve discovered when they’ve been helped by something. My very own Business Cheerleading Club was set up in response to needing a supportive place to be understood as a business owner and share the ups and downs we have each week with other business owners who know what it’s like. The support for each other, and your business, within the club is amazing, and fills me with joy to be helping others find the right place for them to grow their business. Knowing you have the right support helps you be in the right frame of mind to run your own business and support your mental health. many with bereavement, loss, post abuse, trauma and mental health issues, I fully understand that staying mentally strong yourself as a business owner is important. Knowing. how to love yourself, keeping time and space for yourself each week is paramount to keeping yourself healthy on every level. Karen Peddie Holistics I’m a Reiki Master Teacher and EFT (Tapping) practitioner and both are excellent for helping people to become calm and balanced. I suffered with anxiety, stress and depression for many years and I can honestly say I am calmer now than I have been for over 20 years. I now help others to feel better about themselves and my clients tell me they feel very relaxed after a treatment. One lady told me she had not had a migraine since their treatment last week, when previously, they were getting them every day. That’s how wonderful Reiki is! Five Institute My work at the Five Institute and beyond is based on the central premise that our inner and outer solutions for good mental health, wellbeing and everything else we do should be designed around each individuals nature, needs and worldview. Although that is neither an original thought or anything but common sense, some of the tools we have such as The Vitality Test are an original and unique way to achieve that end. I’ve suffered myself with both anxiety and depression. In my teenage years, the lack of understanding as to who I am as a person resulted in the treatments and suggestions doing more harm than good. Later it became obvious to me what went wrong, but at the time it was a mystery to the professionals concerned, and highly distressing to me. bras4mums & Cambridge Bra Lady My business is bras4mums/BraLady Cambridge and I help women feel more confident by fitting them in supportive and comfortable bras, specifically maternity & nursing bras through bras4mums. Having struggled through two pregnancies and breastfeeding wearing the wrong sized bras, I trained as a bra fitter. My third pregnancy and subsequent breastfeeding with my youngest was transformed by wearing properly fitting bras. New mums have a lot to deal with in the early days/weeks after giving birth but having properly fitted bras can make such a difference to them. It is one less thing for them to worry about and often enables them to feel more confident about breastfeeding because they are comfortable and well supported by their bras. Make regular time for yourself. If you don’t look after yourself, then your business will ultimately suffer as you eventually burn out. 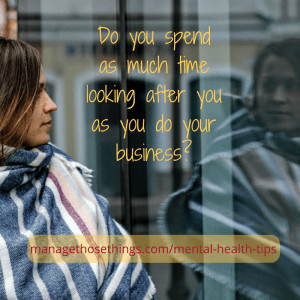 What are you doing to maintain a good mental health whilst running your business? There are so many ways of improving and maintaining a good level of mental health, as our business owners here have shared. I believe that you need to find what works for you. It can take time, especially if you’ve allowed your business to take over your life. When I’m working with a client, I always say, “small steps”, and we’ll look at what can easily be added into a daily and weekly routine to start getting the balance right again. You won’t be alone if you’re struggling to find the right balance in your life, and feel anxious or concerned about your life and your business. Just re-read what the business owners have shared above! Sometimes it just takes us a little nudge or knock to take us “over the edge” to make us realise it’s time to make a change. If you need some support to work out what’s right for you, feel free to contact me and let’s explore your options. If you’d be happy to share what you do in the comments below so that others can benefit from your experience, that would be wonderful.